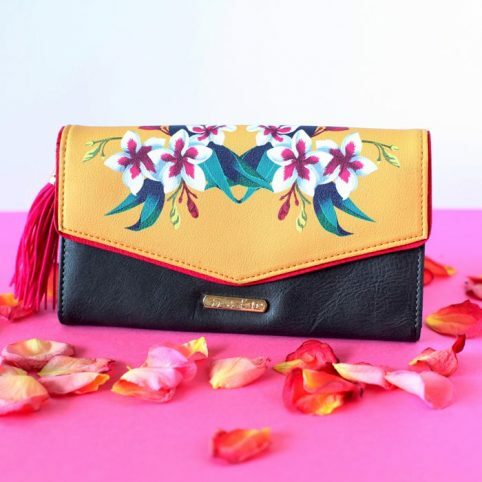 This 2 in 1 Frida Kahlo Tote and Clutch Bag from House Of Disaster is a combination of two fantastic items for the price of one! This tote and clutch combination will take you from day to night with the removable envelope style clutch, which can be used separately. Wear them alone, or wear them together – it’s your choice. They’re versatile and eye-catching with the use of florals, as well as the balance of the grey, cream and mustard colours to compliment. 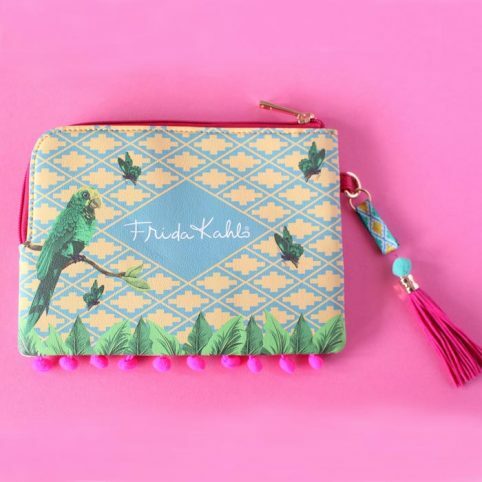 When you remove this cool little clutch you reveal the ‘Viva La Frida’ gold lettering cleverly hiding underneath. Plus there’s even a detachable tassel on the Tote to customise. The reverse of the clutch displays the sweet quote in gold lettering reading “I paint flowers so they will not die”. 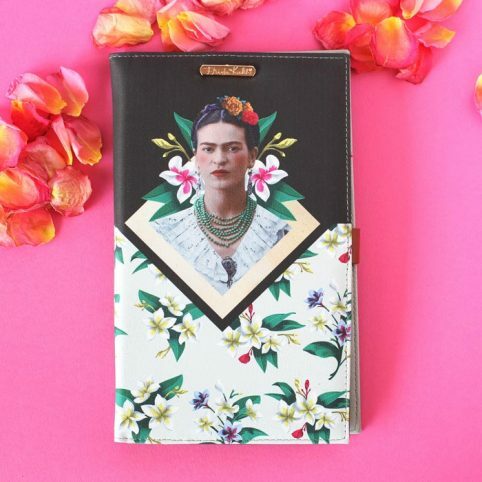 This one’s most certainly an investment piece that would make a great gift for bag lovers, fashionistas and Frida Kahlo fans. Categories: Bags, Bags & Purses, Brands, Clutches, Gifts, Gifts For Her, Gifts Over £20, NEW, Stocking Fillers.